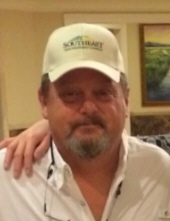 Mr. Stephen “Steve” Marsh Shook of Red Springs was born on January 11, 1961 in Robeson County to the late Allen Marsh Shook and Grace Shook and departed this life at his home surrounded by his family on April 8, 2019 completing his journey of 58 years. The funeral will be Thursday, April 11, 2019 at 2:00 P.M. at First Baptist Church in Red Springs with the Pastor: Brad Boberg officiating. Burial will follow in Alloway Cemetery. Mr. Shook, affectionately known as Steve, was known as a hard worker and a gracious giver. His love for farming, eating good food, and enjoyment of life was evident to all who knew him. He wore many hats that included being a business owner of S & S Custom Work, being a member of Red Springs Rescue for several years, and piloting as a hobby. In his spare time he enjoyed going to the ocean. He had a big heart and more than anything he loved his family beyond measure. Mr. Shook leaves to cherish his memories, his wife of 30 years: Pat Shook of the home; three daughters: Jordan Shook of Charleston, SC, Jennifer Martin and husband Kevin of Red Springs, and Amy Ratley and husband Dave of Laurinburg; his mother: Grace Shook of Red Springs; one brother: David Shook and wife Laura of Red Springs; one sister: Julie Shook and husband Kirk of Charlotte; four grandchildren: Merideth Martin, Nick Martin, Alex Ratley, and Addison Ratley; as well as host of nieces, nephews, and many friends. The family will receive friends on Thursday, April 11, 2019 from 12 P.M. – 2 P.M. at First Baptist Church in Red Springs. To send flowers or a remembrance gift to the family of Stephen "Steve" Marsh Shook, please visit our Tribute Store. "Email Address" would like to share the life celebration of Stephen "Steve" Marsh Shook. Click on the "link" to go to share a favorite memory or leave a condolence message for the family.